You are here: Home > Tutorials > Technology > How is Virtual Reality Incorporating into the eCommerce Industry? Do you remember those days, as children when we thought the future to be limited to flying cars and extra celestial travels? The cartoons and Sci-Fi then were flooded with such stuff. I remember myself telling my mom that we would go to the moon on vacation when I grow up. Little had I known that the future had much more to it than just space travels and flying cars? Today when looking back I wonder how far we have come in just a span of 15 to 20 years. Well, we still have cars running on the road by with a GPS system and the space travels are not that popular even today. Let’s hope for the best in future. A couple of years back I read about some panels installed in supermarkets of Singapore which would have a list(pictures) of clothing items and other accessories. You could shortlist some as per your choice and then try on your virtual self in no time. I was amused to hear that. And then in less than two years, you have an advertisement showcasing a leading actress using the same technology. Well, virtual reality is not just limited to this; one can use VR headsets to shop, game and enjoy movies. You just need to put on the device and enjoy the feel of being at a certain shopping spot. This technology is being used worldwide in different areas right from small superstores to huge IKEA store. What is Virtual Reality all about? Virtual reality is a basically a stimulus artificially created via immersive multimedia or computer simulated reality. An excellent example of how artificial intelligence clubbed with human senses creates wonders is seen in the gaming field. 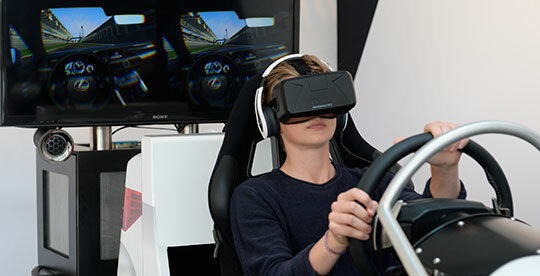 Virtual reality till now was used in high-end gaming, or experiment. But now the time has come when this technology is being incorporated into our day to day life. Well, imagine the ease that one can experience when he uses VR headsets to find a proper accommodation for himself. As per a market survey even today most of the customers prefer to go out shopping than ordering commodities online. They feel that online shopping does not give them the physical feel of the commodity. They can neither feel nor check the commodity before buying it. At times the online bought goods turn into havoc. The desired goods are not delivered to their doorsteps. In case of online shopping, one has access only to the specific information related to the product. This may provoke a sense of insecurity in the customers. Many times the pictures displayed on the website are far better than the actual product. Hence, the customer feels to be cheated. On critically examining one can clearly see a huge gap between the two platforms of business. This gap is a big threat to the eCommerce industry. To overcome the gap between the platforms, the eCommerce industry is incorporating virtual reality. 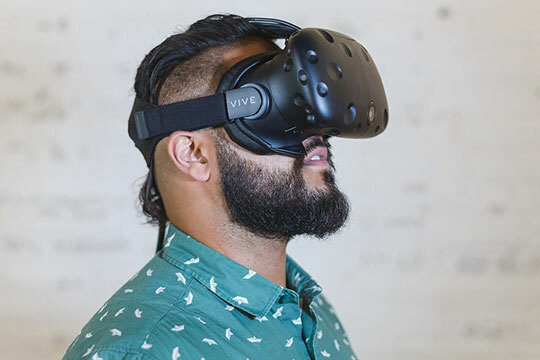 Virtual reality as mentioned earlier creates such a stimulus in the mind of the customers so that they actually get the feel as if they are in the store. They can feel the product, check the details and get the product as per his requirement. This technology has brought many exciting changes in the user interface with the interactive device. You can have your own Jarvis (thanks to Iron Man) now. The specifically designed headsets place heavy emphasis on the user experience. This helps in bridging the gap between the two platforms. Well, there exist some skepticism about the technology but businesses have witnessed an increase in customer traffic in past few months. Since the introduction of virtual reality in early 2016 in the field eCommerce, the businesses have experienced certain positive changes. It is expected that the scenario remains same in the upcoming future. 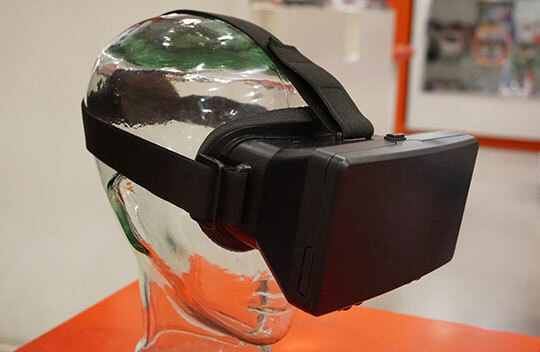 Popular eCommerce websites have introduced the technology in the form of virtual reality stores and virtual reality apps in the past couple of years. eBay Australia already has launched the world’s first VR departmental store; you can check the app at Google play store. Recently, the online furniture store Urban Ladder has also launched an app which can assist buyers to select the best sofa set for their living room by taking the help of VR technology. The name of the app is Living Spaces and you can find it here. Shopify also released their first VR app Thread Studio. This app is compatible with HTC Vive VR headset and can help you to design t-shirts virtually. At present, the technology is merely scratching the surface and has a long way to go. But it is assumed that VR will prove to be a milestone in the eCommerce scenario. If the technology successfully deepens its roots it will completely change the market the scenario. Let’s hope for the best and see how virtual reality changes our lives.